Since we last updated you, lots of exciting things have happened in the Spanish landscape. Many new initiatives have been implemented and already existing projects have been expanded and upscaled. 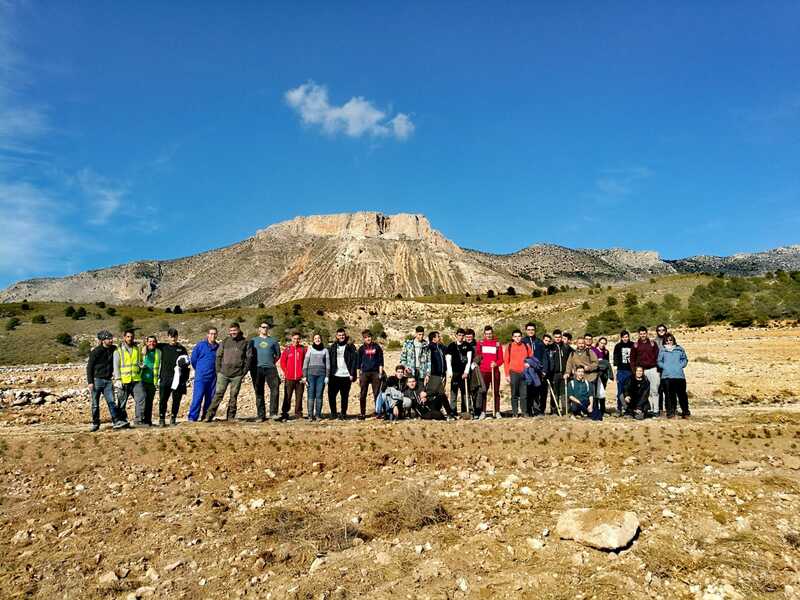 One of the new projects is called “landcape and childhood.” The initiative aims to promote training for children and young people in landscape restoration. This is important as awareness for problems such as erosion, desertification and biodiversity loss is fundamental at an early age. For “landscape and childhood” AlVelAl intervenes in schools and works together with children and teachers to create the knowledge and understanding of the importance of landscape restoration. AlVelAl now plans to focus on biodiversity conservation within the territory. The Verified Conservation Area Registry recognizes and encourages voluntary conservation commitments in the areas where we live and work. For more information, click here. The auditor of the Verified Conservation Areas (VCA) visited the project and concluded that the AlVelAl area should be registered as a VCA, which was done immediately, meaning that an official conservation management plan has been created. AlVelAl’s fund “Invierto en Paisaje, Invierto en Futuro” has granted funds to sixteen farmers for the implementation of regenerative actions on their farms. Besides it being a step for natural restoration, it will also have a positive impact on the farmers’ livelihoods. 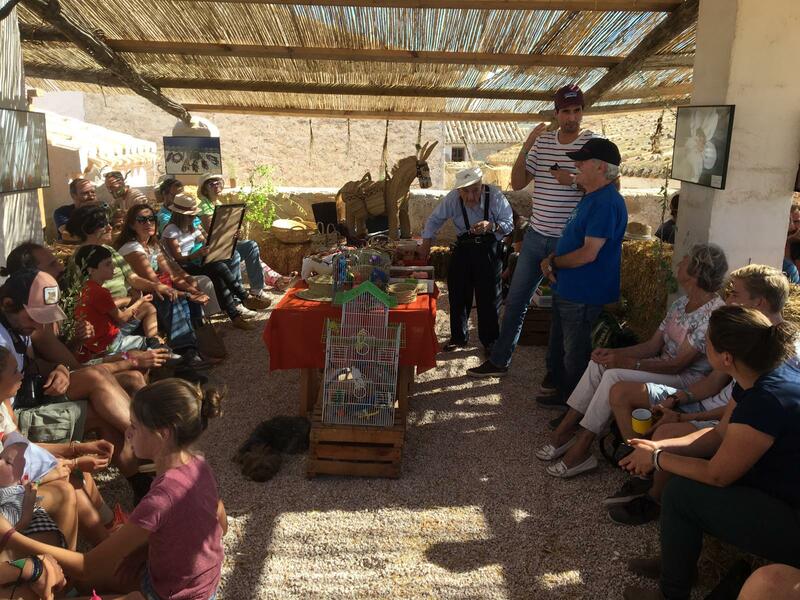 This was also shown to 14 journalists that visited AlVelAl to learn more about the touristic project called “Destination AlVelAl.” Together with members of AlVelAl, they visited demo farms, met with farmers and AlVelAl’s board members. For more information (in French) click here. The first Re-Generation Festival was held in the territory of AlVelAl from the 28th till 30th of September 2018. It was a weekend to celebrate our capacity to regenerate ourselves, our communities, our landscapes and our economies. The festival offered a wide range of curated music, exciting workshops and performances created in the spirit of regeneration. The first steps have been taken on the inspiration project AlVelAl 8000. 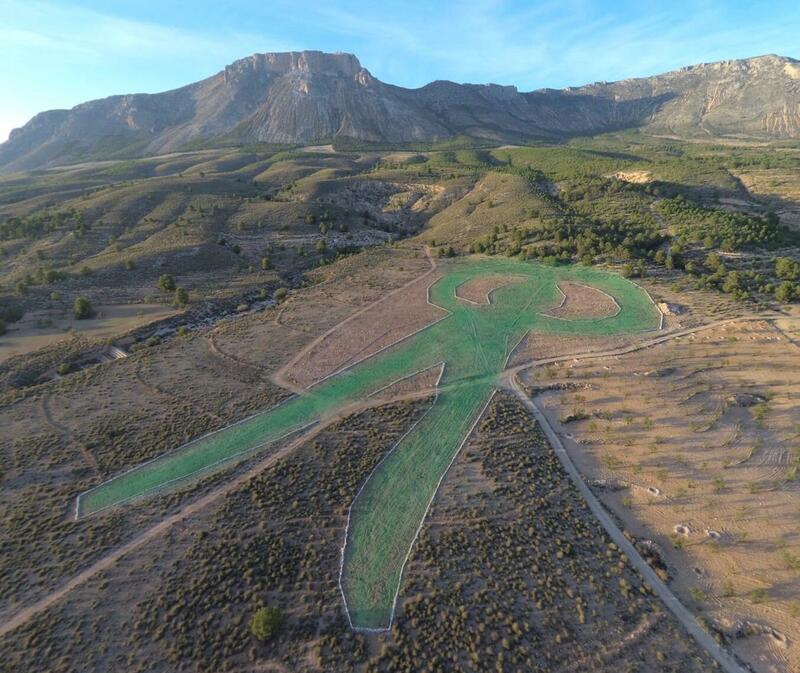 The initiative aims to restore public land with aromatic herbs by creating art. The land art living sculpture imitates the cave paintings of Cueva Los Letreros (see photo below).